They say two things are inevitable, death and taxes. You might be pretty sure where you’re headed after death, but do you ever wonder where your hard earned money is going? The government of course! But working with the government can be tricky. How to start collaborating, how to get funding, how to keep a relationship as administrations change? Irene Agustin has been on both sides. As a social worker, former Executive Director and now government employee, she’s see it all and is here today to bring some tips about working with the government so we all reach our community goals together. 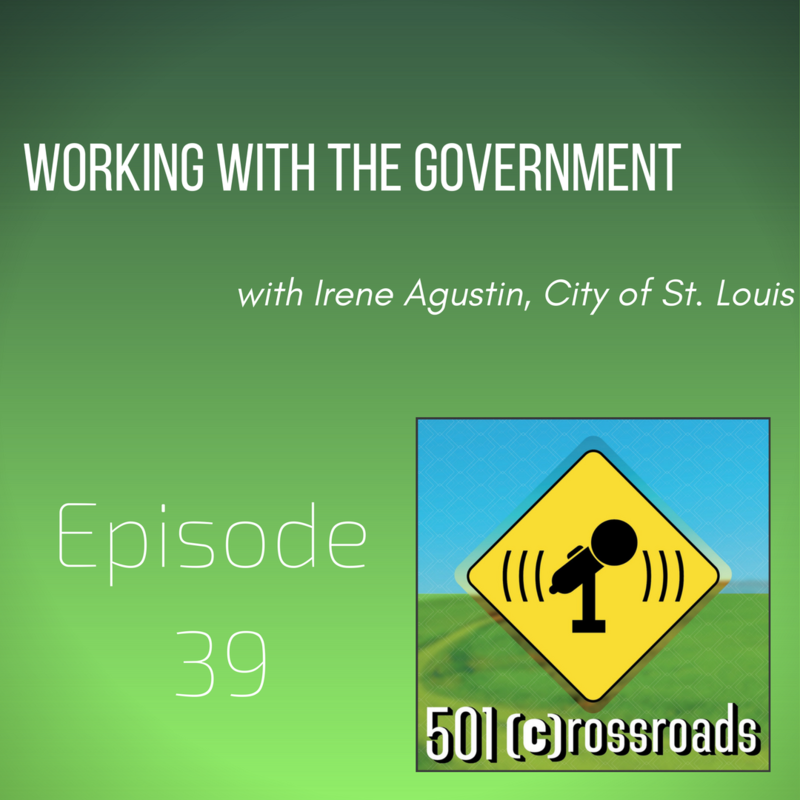 Irene is the Chief Program Manager, Homeless Services Division for the City of St. Louis, MO. You can connect with Irene on Facebook, LinkedIn and Twitter. by email at agustini@stlouis.mo.gov or call her at 314-675-1702.